PJ library is a Jewish Family Engagement program implemented on a local level throughout North America. It mails free, high-quality Jewish children's literature and music to families across the continent on a monthly basis. All families raising Jewish children from age six months of age through five, six, seven or eight years (depending on the community) are welcome to sign up. 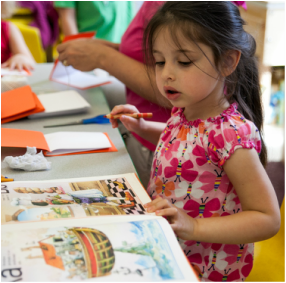 The Hudson County PJ Library Community supports families with children up to eight-years-old. PJ Library of Hudson County is generously supported by the Harold Grinspoon Foundation, The Jewish Federation of Northern NJ, The United Synagogue of Hoboken, United Synagogue of Conservative Judaism, The Family of Frieda Brown, The Goldberg Family, and donations made by members of our community. The mission is to help families chart their own unique Jewish journey in this revitalized community. 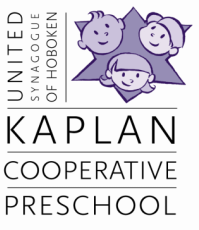 USH is the implementing partner for the Hudson County PJ Library Community. Shana Lee, PJ Library Program Professional for Hudson County, is the primary contact for this program, at pjlibraryhudson@gmail.com. You can contact her with questions about eligibility, change of address or any other inquiries about this community. To enroll, click on the button below and you will be directed to the appropriate page in the PJ Library website.